Wireless Group, owner of Wish FM, Wire FM, Tower FM and Radio Wave, has appointed a new regional station director for the North West. Steve South replaces Matthew Bromham and will head up the development of the four stations from next Monday. A former MD of Real Radio in Yorkshire, as well as for The Pulse and Classic Gold, South brings with him more than 25 years of commercial radio experience. 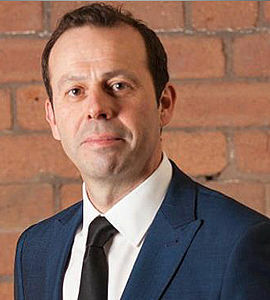 He has run several successful and profitable radio stations across the North of England, and worked for many of the largest media companies in the UK including the Guardian Media Group, Bauer Media and UKRD. More recently, he has been working as a leadership coach and mentor for fast-growing companies in the North West and Yorkshire, as part of programmes at Manchester and Leeds University business schools.